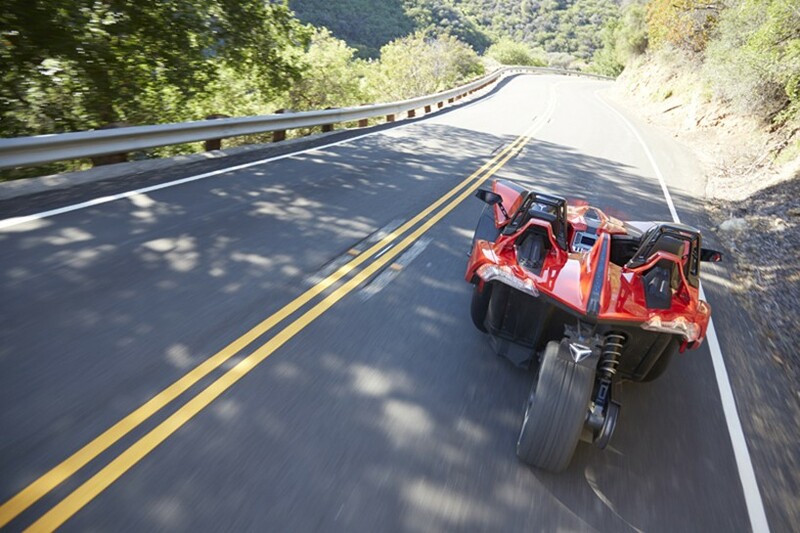 polaris have broadened the appeal of its adrenalin-packed three-wheel roadster in europe, with the introduction of new color schemes plus two limited edition models. 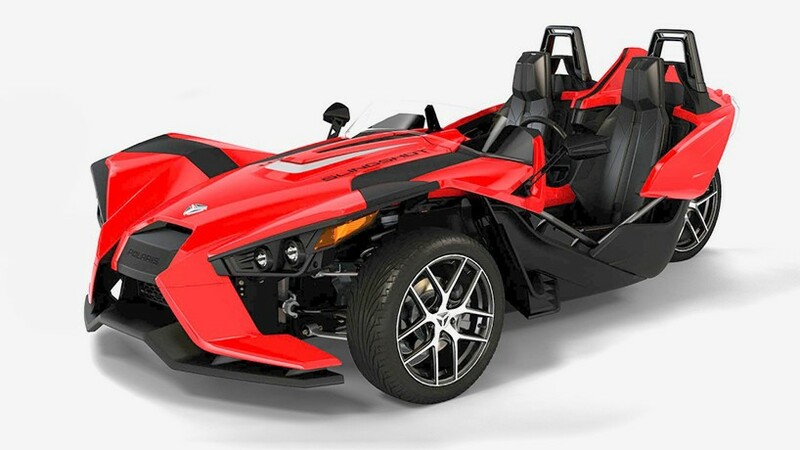 following its introduction to europe at the end of 2015, the design has carved its own niche with enthusiasts already, where the outlandish looking ‘reverse trike’ has, up until now, only been available is its red launch colour. drawing influence from its USA homeland, where it has developed a fast-paced cult following, customers in europe now get greater choice with a new ‘turbo silver’ colored ‘SL’ version plus a further two limited edition ‘pearl’ models. 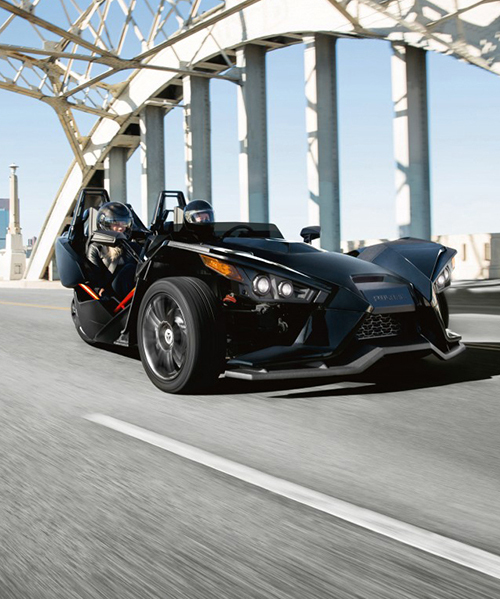 regardless of specification chosen or trim level, slingshot as standard features: a low, wide stance allowing drivers to feel the rush of the road under their seat; an open-air cockpit with a 360-degree rush of sight, sound and smell; a shared riding experience, giving driver and passenger a front-row shot of adrenalin; optimised weight distribution and proprietary low-profile tires for maximum cornering; lightweight design for powerful acceleration. 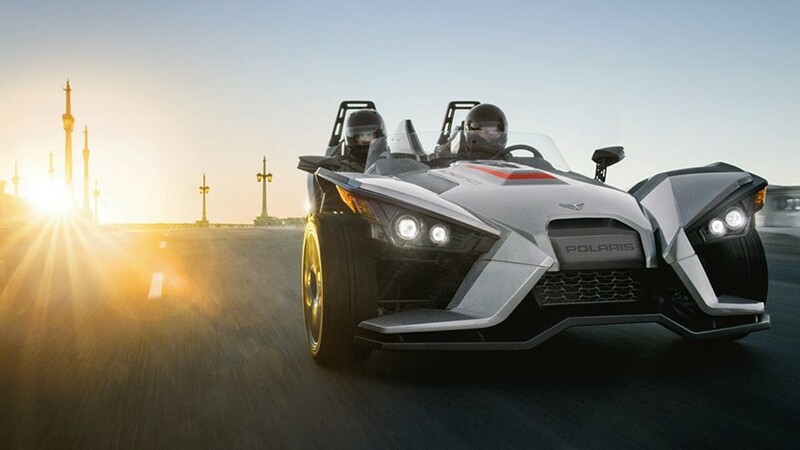 ‘since we launched ‘slingshot’ in europe at the end of 2015, our dealers have reported a growing trend for customization’, commented grant bester of polaris EMEA. 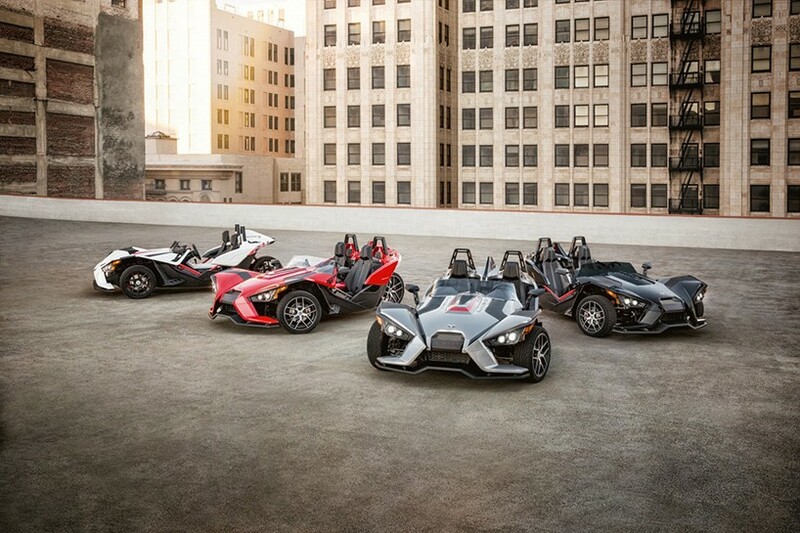 ‘it will come as no surprise that slingshot customers like to stand out from the crowd, so we’ve gone one step further now in europe, by launching a new additional color for the sl model and two new limited edition models also’. 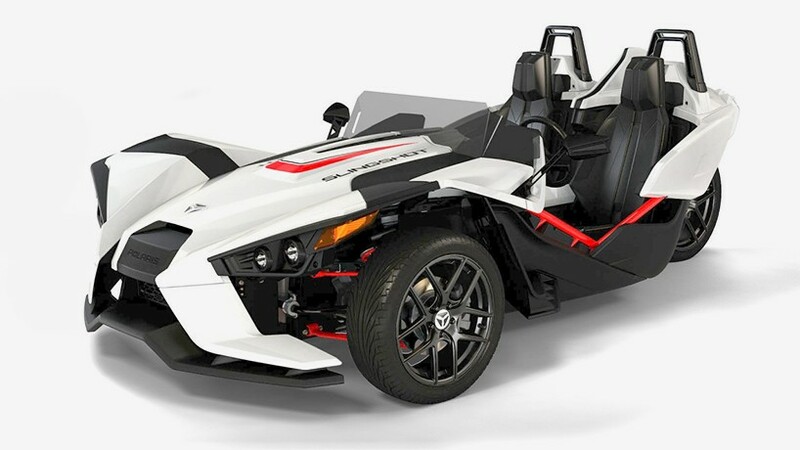 slingshot ‘SL’ — available in both ‘pearl red’ and ‘turbo silver’ colour options. 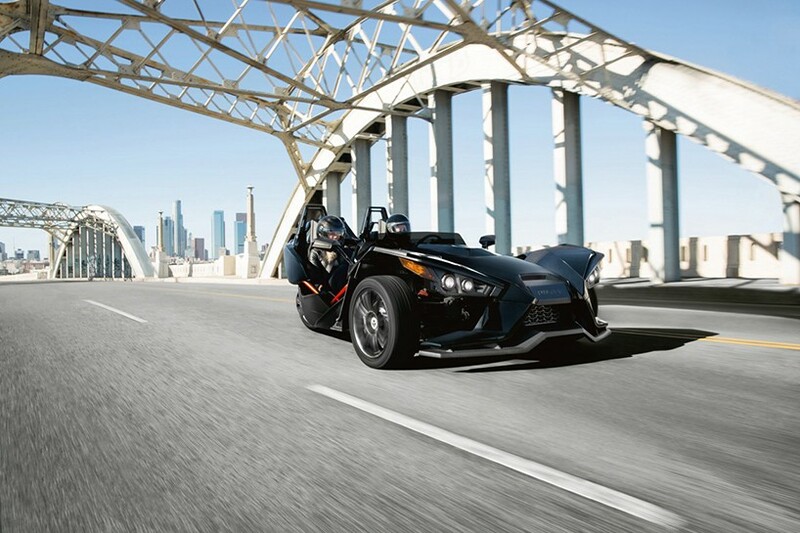 now features new all-black seats and bold new graphics; slingshot ‘limited edition’ — available in ‘black pearl’ and ‘white pearl’ colour options. 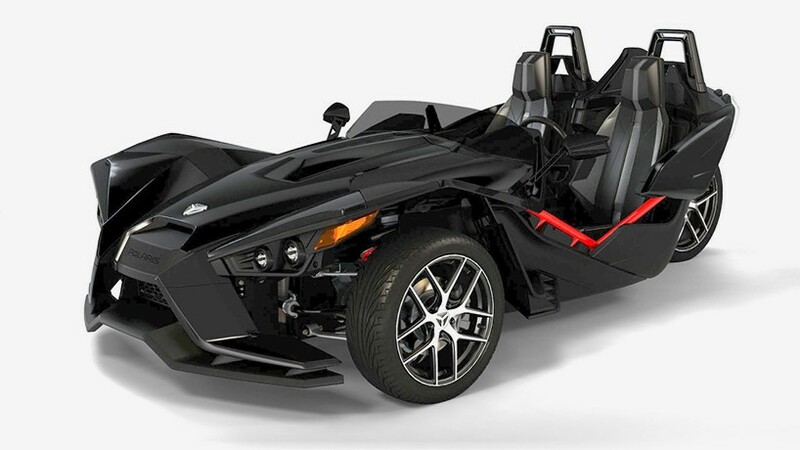 features the ‘SL’ specification as standard, plus — indy red powder coated frame, swing arm, springs, front-arm suspension, tinted wind deflector, interior lighting kit and blacked-out cast aluminum wheels. They are interesting .. 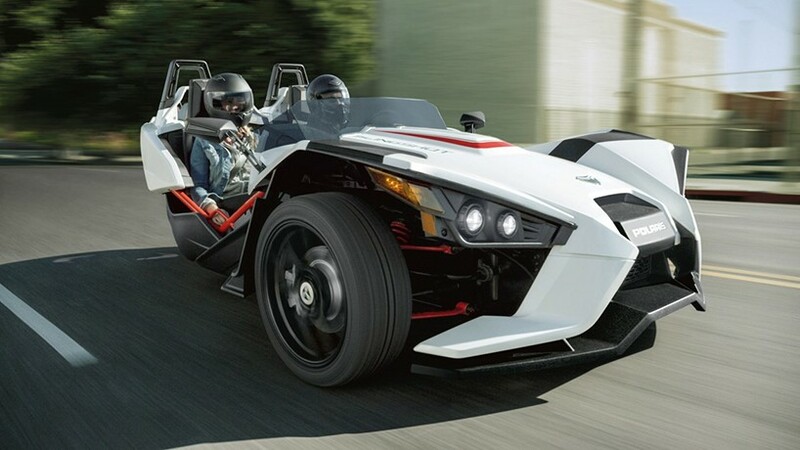 I would love to see a third party make a 3-wheeler Morgan-style body for them. This child’s space toy design it too radical.